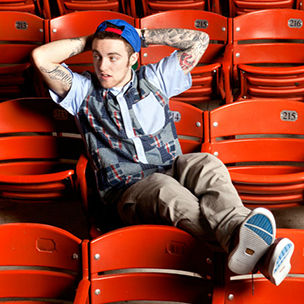 Mac Miller has announced his “Macadelic” tour featuring opening acts Travis Porter and YG. The 23-date trek begins on September 13th at Louisville, Kentucky’s Broadbent Arena. Stops on the tour include Los Angeles, California, Lincoln, Nebraska, Las Vegas, Nevada and New Orleans, Louisiana. The venture concludes at Austin, Texas’ ACL Live on October 16th. Check the official tour dates below.